The Pixel 3 and 3 XL are having a rough go in the audio department. Not only are both phones experiencing poor audio quality in recorded videos, but now reports have surfaced that they feature a speaker imbalance. That means one of the two speakers is louder than the other. For the Pixel 3 XL, it appears the smaller top speaker is quieter. Furthermore, the 3 XL inequality is significantly worse than the 3. The above YouTube video from Android Police shows the issue in action. Several reports have cropped up regarding the issue. However, Google is directing users to a post by PixelCommunity, an official Google Reddit account, where it explains that the imbalance is by design. “We specially designed speakers that allow for louder sound (40 percent louder than last year) and better low-frequency response,” Google wrote. Additionally, the company said that it’s working closely with a Grammy-award winning music producer to tune the audio experience. Despite the explanation, users aren’t happy. Several have flocked to the Reddit post to call out Google, saying that the statement doesn’t address the difference in volume between speakers. I tend to agree with the users. Considering the top speaker is smaller than the bottom speaker on the 3XL, it makes sense that it’s quieter. However, the difference in speaker size doesn’t explain such a drastic volume variation. Furthermore, other phones have used a similar approach. Both the iPhone XS and the Galaxy S9 use the earpiece speaker and a bottom firing speaker in combination for sound. However, there’s little to no noticeable difference in volume. Hopefully, this is likely a simple software issue. 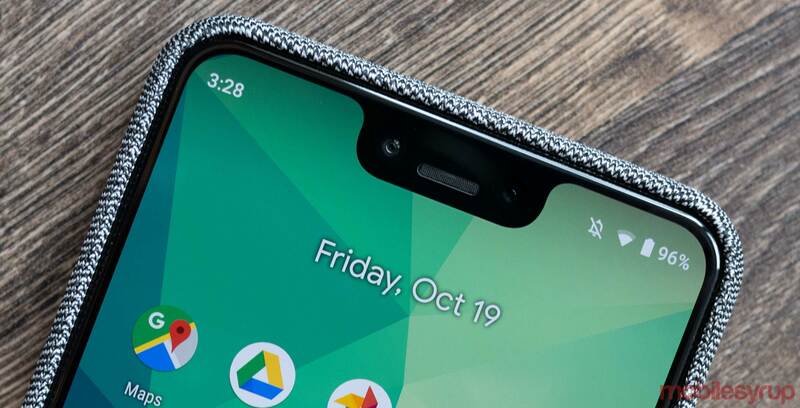 Some reports indicate that Pixel 3 and 3 XL teardowns show both devices use the same top speaker module. If this is the case, then Google should be able to correct the issue on the 3 XL, as the 3 has a significantly reduced volume difference.